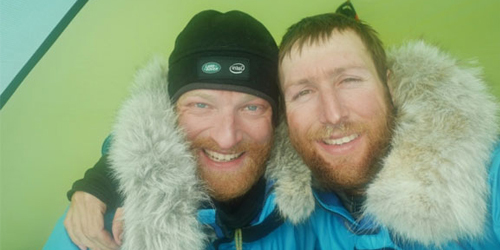 We just want to say a huge congratulations to Ben Saunders and Tarka L’Herpiniere who have just completed their polar expedition following in the footsteps of Captain Robert Falcon Scott. They completed their journey in the early hours of this morning, making history by trekking 1,795 miles on foot to the South Pole and back. We are incredibly proud to have played a small part in this by designing the expedition badge and are even prouder of the guys for this incredible achievement. Now somebody get them a good cup of tea! The Scott Expedition badge is a coveted piece of history. It is beautifully designed. Thank you for inspiring Ben and Tarka with your wonderful work.